If any company knows how to make gorgeous phones affordable it’s Samsung, and the Korean giant’s latest handset does a fine job of keeping up appearances. The Ultra Smart F700 will be properly unveiled next week at the 3GSM World Congress in Barcelona, so we’ll have to wait until then to get the full details. For now, we can tell you that the F700 has a 2.78-inch touch-sensitive screen with those all-the-rage virtual buttons and is a tri-band GSM model with EDGE and HSDPA at up to 7.2Mbit/s. Those virtual buttons use VibeTonz technology to provide positive feedback (they vibrate when you touch them) and drag-and-drop controls appear to allow for intuitive menu navigation. As you can see there’s a full QWERTY keyboard that slides out from under the screen, which should combine well with the full HTML browser to make email and web surfing simple. 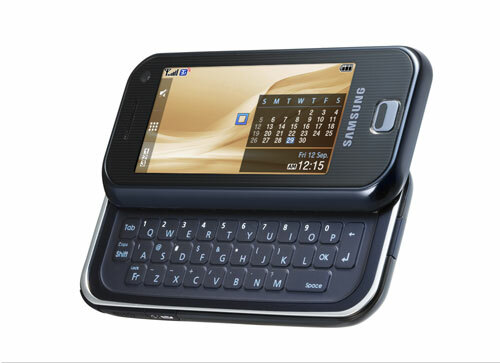 A 5-megapixel camera, Bluetooth, support for various media formats, and a microSD slot complete a very desirable package. About the only thing missing is Wi-Fi, but we’ll forgive Samsung just this once.